As the chance of rate’s hike increases, EUR is being supported. The support rests at 1.11540 with resistance at 1.11900 which both lines are above the weekly pivot point at 1.11210. The EMA of 10 is moving with bullish bias and has passed the EMA of 100. The RSI is moving above the 50 level, the Stochastic is showing downward momentum and the MACD indicator is in positive territory showing the price growth. 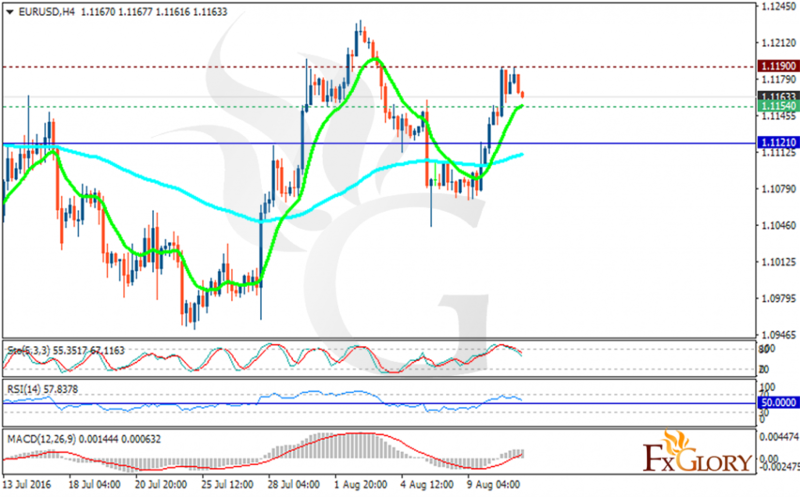 If the pair reaches 1:12 area, it will grow to higher levels, at the moment sell positions are recommended with the target at 1.1050.